Hello, I'm Svetlana from s.o.t.a.k handmade. 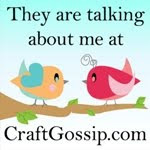 I was so excited when Karen asked me to write a guest post for her blog. I decided to do "a sort of” pillow tutorial. I'd like to show you how a simple quilt block, or two, could be turned into a beautiful pillow cover. This is the pillow I made using 2 cupcake blocks by Malka Dubrawsky. I found this mini quilt in Pretty in Patchwork Doll Quilts book and I totally fell in love with the whole design and pretty colors. And while I adore this block, I just don't have patience or time to work on the whole quilt right now. So I decided to make just two of these yummy blocks and turn them into a pillow. Once my blocks were done, I cut out sashing to join and frame the blocks. This part can be customized to any dimensions you need. It all depends on the size of the blocks and the pillow form you have. My blocks measured 11.5" x 12.5" each. I needed to bring the size of the whole pillow top to 15.5" x 29.5" - the size of the pillow form I wanted to use - so I decided to add one more, contrasting border. I love how this print fabric frames all my cupcakes so nicely. I like to iron fusible fleece to the wrong side of the pillow top which means no basting and being ready for quilting in no time at all. It works wonderfully every time. I decided to hand quilt the pillow top, outlining all my cupcakes using 3 strand whitish embroidery thread. I really, really love the extra special touch that hand quilting adds to this pillow. Once the pillow top was quilted, it was time to make a backing. I usually don't quilt my pillow backs (no rules here, just my preference). I used two coordinating Denyse Schmidt fabrics and joined them with the zipper. I placed the pillow top and back on top of each other, wrong sides together, pinned them in place, and basted all the way around. Then all that was left to do was attach the binding - the same way as I would have for the quilt. So, there you have it. A pretty pillow using just 2 quilt blocks. How fun is that? 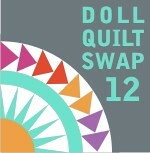 I hope you give it a try and turn some fun quilt blocks into lovely pillow covers. Happy blogiversary, Karen! You rock, my friend! Thanks so much Svetlana! If you get a moment, do drop by her blog - her stuff is fantastic & amazingly she has only been stitching for about 18months!!! Great project - the kind of project I need! This is wonderful pillows ...Very light weight and waterproof, by far the and easiest.I love this mattress and pillows. Love pillow! And I have that book - must try soon! Thanks for the great projects! VERY nice! It's just lovely and I love the shape of it! that is an awesome block design. such pretty things.